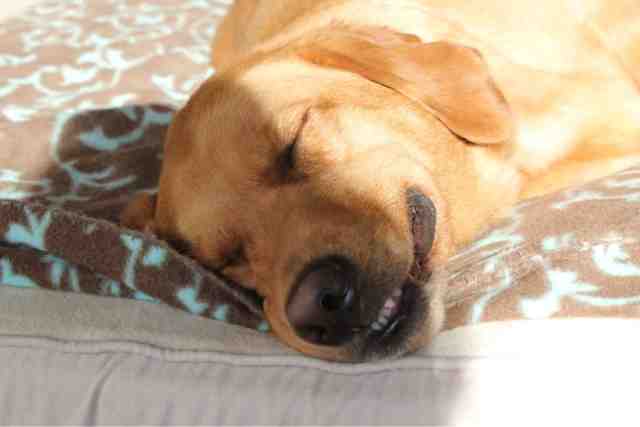 Smiling while sleeping...that is too funny! We agree with Oz. Have a wonderful wordless Wednesday. Sun bathing and a good dream...sounds like the perfect day to me! Thanks for stopping by Wag 'N Woof Pets too! Cute Picture. Thanks for stopping by. Just followed you back. Happy WW! Having lots of fun in dreamland, Maggie?! Enjoy the rest of the week. Now THAT is a priceless photo! Sweet smile! ZZZZZZZzzzzzzzzzzzz - Maggie sure looks like she is enjoying that snooze. Sweet dreams, pretty girl. That's one toothy grin you have there! So cute! Must be dreaming about treats and toys!